The UAE moved up three places, standing at rank 22 in the list of the top 25 most powerful passports in the world. The UAE is the highest-ranking Arab country in the Gulf and in the Middle East and North African regions, in the Global Passport Power Index by Arton Capital. UAE passport holders get visa free entry into 138 countries - as compared to Singapore at 162. Singapore and South Korea are tied at the top spot. The United Kingdom is at the fourth place and the United States rounded up the top five, tied with Switzerland, Ireland and Canada. Of the Gulf countries, Kuwait is at rank 49 and Saudi Arabia at 60. The Philippines ranks at 68, tying with Zambia and Zimbabwe, with 63 countries that have they can visit visa-free. India follows suit at rank 74 and Pakistan at rank 95. People holding the Indian passport, can get a visa-free entry into 57 countries, Pakistan 30, and the Philippines 63. 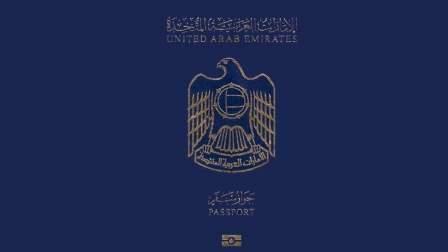 The UAE also did well in the Henley passport index which was issued almost one month earlier, being placed at the 32nd place. The UAE passport rose by an impressive six places year-on-year and by 29 places over the past decade, which is the biggest historical climb of any passport in the world.